On Wednesday December 16th @ 6:30pm, the Mona Shores Sailors will skate onto the ice at Lakeshore Sport Centre wearing custom pink Sailor jerseys. The sailors will host the Cougars from GRCC in a charity event, with all proceeds being donated to Tempting Tables. Provide funds for the Dream Fulfillment Fund. Present a fundraising event like no other with an exhibit of exquisite, elaborate and creative TABLESCAPES and unique collections presented every 2 years. The Mona Shores High School varsity hockey team will donate proceeds of tonight’s event to the Tempting Tables Dream Fulfillment Fund. This will enable the organization to continue to surprise women and men with unexpected gifts as they battle breast cancer. Sailors top Novi, 2 - 1- Advance to Championship!! 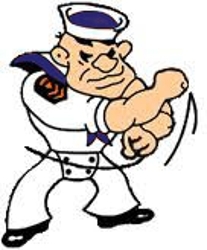 Scott Tiefenthal was outstanding net and Mike Soto scores with a minute left in the 3rd (2nd of game) and the Sailors advance to Finals to play Trenton at 11:00 a.m. Saturday at Compuware Arena in Plymouth. Come out and support your Sailors!!!! 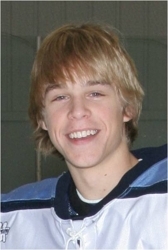 The Warren Award is an award give out by the Mona Shores Hockey Club to an individual who has dedicated his time and efforts in the advancement of the Mona Shores Hockey Program. There have only been four recipients of this award over the past 20 years. This is the highest award the club can present. This year we have presented this award to Shawn Zimmerman for his years of service to the team and for his efforts in the advancement of Mona Shores Hockey. Shawn has coached the team to one State Title, two finals appearances. Numerous regional conference championships over his 9 year span as head coach of Mona Shores Varsity. Shawn has had multiple players move from his program to play Tier One Juniors, Division1, 2&3 College Hockey as well as play in the NHL. Congratulations Coach Zimmerman and Thank You for all you have done for the program. Achievement Award for his dedication and hard work for the Hockey program as President and board member for many years. Sailors top Huskies in second game 4 -1 !!! Another solid effort by the Sailors sends the Huskies home this afternoon after they devour those delicious Pizza & Sub Shop pizzas courtesy of the Sailors after the game. Bishop scores his first Sailor goal (shorthanded) late in 3rd to seal it. Mona Shores Hockey is proud to announce that T1G will be filming all the games this season. See attached form for information regarding purchase of these films and other services offered. Sailors Claim OK Tier 1 Championship!!!!!! With a spirit bus full of vocal sailor students en mass at Kentwood Ice Arena, the Sailors pull out an exciting 4 -3 victory over rival EK. Down 3 - 1 early in the 3rd, Sailors charge back on goals by Grevious, Soto, and Zaloga's empty netter with 15 seconds left. Deja vu from last year!! Tiefenthal held the fort down with 23 saves. Coppock scores only goal in 2nd on a nice pass from D. Skocelas. Strong Defense by Mylenek, Skocelas, Bowcamp, and Sturr keep Falcons off the board late in 3rd. Sailors claim conference championship outright again. Way to go Sailors and keeping up the tradition of excellence. A special thank you to every student on the spirit bus who "dominated" the bleachers and out spirited the EK student section white out. Awesome!!! Mona held a slim 1-0 lead after two periods on a goal by Senior D-man and preferred U of M football walk-on Johnny Childers before Michael Bishop scores in the third and Brett Grevel gets M.T. netter to close out quarterfinal victory in goaltender battle. Sailors avenge last year's early exit at the hands of the Mustangs in Georgetown. The Sailors claimed the regional D2 crown with strong team play and discipline defeating the FHNE Huskies, 7 - 2. The Sailors grabbed a 2 - 0 lead after one on goals by Moore & Soto. In the 2nd, the Sailors struggled and FHNE scored to make it, 2 - 1 but Moore scores 2nd of night late in 2nd for 3 - 1 lead. FHNE scores on PP late in 2nd to close the gap to 3 - 2 after 2. Whatever the coaches said during intermission worked, as the Sailors put the hammer down in the 3rd. Hicks scores early in 3rd to regain 2 goal margin. Soto scores a goal scorers goal a few minutes later to make it 5 - 2 and the wheels came off for FHNE. Hicks scores 2nd of night on a breakaway and Moblo adds a late goal to finish the scoring. Sailor D lead by D.Skocelas, Mylenek, Sturr, Bowcamp, Ulfsax, and Childers with stellar goaltending by Tiefenthal seals it. Way to go Sailors and on to Tuesday's Quarterfinal at Georgetown against Portage Central. 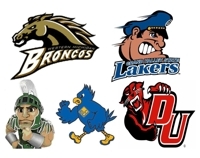 New Alumni Page Created : 2009 Alumni Game Announced!! 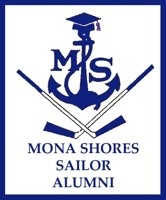 A new Sailor alumni page has been created to communicate recent and future events/news related to any MS Sailor varsity alumni. 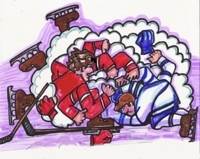 The 2009 Annual Sailor Varsity Alumni game will be held on Saturday, December 26, at 4:30 p.m. at the Lakeshore Sports Centre, South Rink. We expect a great turnout this year so make plans to attend. See Alumni page for further details. As I was watching warm-ups for the division 2 state semifinal game at Compuware; I was impressed to see one of the Sailor players flip a puck over the glass to a young man standing in the seating section. One of the off ice officials said to me, “That’s why we play the game”. I told him we have one of the coach’s sons that is about the same age as the little boy standing at the glass. Just at that time the boy turned and I was looking into the eyes of little Owen Scott Schrader smiling that he had just caught a puck from one of the players. Owen has been a part of this year’s team from the beginning of the season. He has made friends with many players this year, some closer than others. I have watched grown men play mini sticks with him in the coach’s room laughing the whole time. I have said many times in the past a successful team is like a big puzzle. The first challenge to the puzzle is to have all the right pieces; the second challenge is to put it all together. Owen was a piece of that puzzle this year. I don’t think he fully understands that his buddy, Norkus, will not be in the locker room next year when the season starts. Hopefully as he grows older he will realize what it means to be a Sailor and play for Mona Shores, for he is the reason they play. We must embrace our past and encourage our future to have and build a successful program. Sailors playing at the collegiate Level. We are proud of our Sailor tradition keep up the good work boys!!! The Mona Shores Hockey Board would like to thank out going Secretary Barb Coppock for her time and devotion to the program. Barb will be missed on our board and leave a big hole to fill as Secretary. We would like to welcome Shawn Taylor onto the hockey board as the new Secretary. Shawn will be a great addition to our board. We would like to welcome Mary Boyd as part of the board as a Member at large and special advisor to the board as well. With the new Hockey Board in place we are getting ready to get the 2010/2011 season underway. 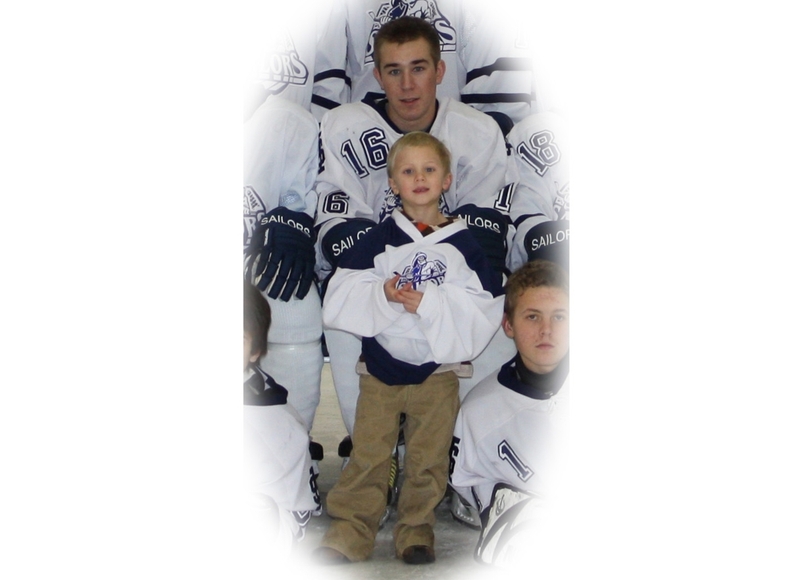 Sailor hockey family mourns the loss of one of their own. The Sailor Hockey Family mourns the loss of Russ Strong who lost his long battle with cancer early Thursday morning. Russ was a past board member, alumni parent and sponsor of Mona Shores Hockey. 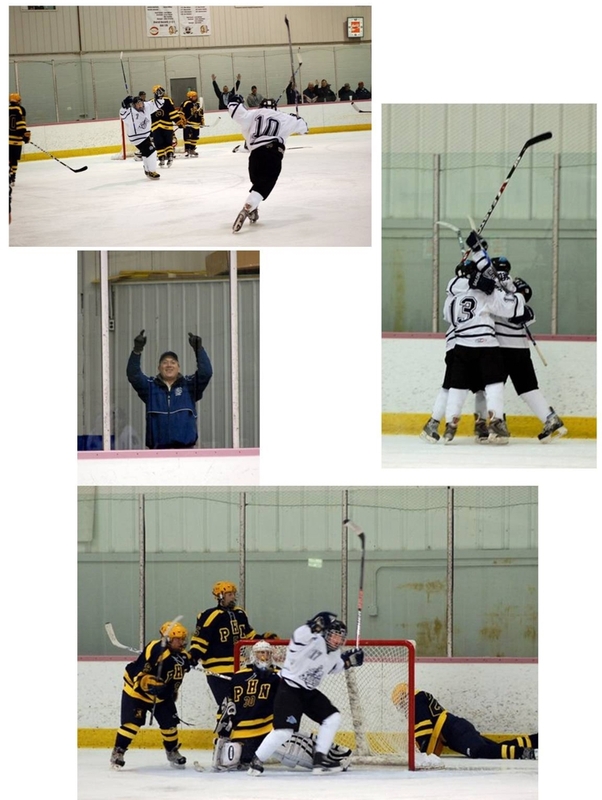 He will be missed tremendously by all of us here at Mona Shores hockey. Our thoughts and prayers go out to the Strong family. The funeral services will be 11AM Monday at The Lee Chapel Sytsema Funeral Homes, Inc. 6291 S. Harvey 231-798-1100 with Rev. Scott VanArendonk officiating. Visitation with the family will be 2-5PM Sunday. Burial will take place in Norton Cemetery. Memorial Contributions to Westwood Reformed Church will be appreciated. Share memories with the family at their Online Guestbook at www.sytsemafh.com.